Easy your downloads, get everything done. 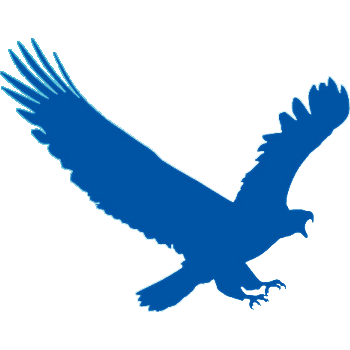 EagleGet uses advanced multi-threaded technology to accelerate downloads by splitting files into several parts and then transferring them simultaneously, thus increase download speed by up to 6 times! System crash, connection lost, power outage… No matter what reason interrupted download process, you can always resume broken downloads with a single click. Our advanced multi-threaded technology saves your time, nerves and money. EagleGet supand IE. No matter which browser you are using, you can always enjoy the maximum download speed without boundaries. EagleGet automatically detects media contents on ANY website. You can download HD videos playing in Chrome, Firefox, Opera or IE, as well as batch download web videos by using the unique ad-free Video Sniffer. EagleGet can download both common and HTML5 videos from website, grabbing high quality 1080p and 720p HD videos when available. EagleGet provides premium experience that faster and smarter than other similar products. EagleGet can not only download HD web videos, but also acts as an Audio Converter. You can convert downloaded online music videos into MP3, making ringtones for iPhone and other mobile phones with single clicks. EagleGet can automatically run an anti-Virus product to perform scan on download completion, like Avira AntiVir, AdAware, Avast, Spybot, AVG Anti-Virus, McAfee, SpywareBlaster, and others to protect you from virus, malware or spyware attacking. Whether you’re a novice or an expert, EagleGet’s well-designed interface and task manager will help you do more with doing less, maximize your productivity. Unlike many popular video downloader and converters, EagleGet is completely free. Accelerate downloads by using multi-threaded technology. Optimized for HD and HTML5 web videos. Support MMS, HTTP, HTTPS, FTP and RTSP protocols. Support HTTP and SOCKET proxy. Automatic refresh expired download address. Download files in Chrome, IE, Firefox and Opera with one click. Download different file types to separate folders. Monitor running and completed tasks with TaskMonito. Supports drag-and-drop to rearrange the priority of downloads. Automatic run virus scan after downlwith one click. Detailed connection log for each task. Verify integrity of downloaded files. Shutdown, hibernate or sleep computer after completing all transfers. Silent Mode (or Game Mode) function. Import download lists from other download managers. Supports multi-language interface (up to 20 languages). Tool to increase download speeds by up to 500 percent, resume and schedule downloads. Free Download Manager is a full-featured download accelerator and manager released under the GNU General Public License.